Workplace Safety Commitment: Where Does it Begin? In a past blog post, I discussed the importance of achieving employee commitment to safety programs and policies as a means of reducing incident rates. Since then, the broader topic of safety commitment has received increased attention in both industry and the safety research literature, warranting further discussion on this key aspect of employee safety. I now want to focus on safety commitment from the organization and top management. I cannot understate that for a safety program to be effective in reducing accidents and injuries, employees must believe that management is committed to improving safety. In fact, demonstrating management’s commitment to safety is the critical first step in implementing any new safety practice. Without this perception from staff, employers will be hard pressed to enforce any changes that may reduce at-risk behaviors and hazards around the worksite. You might be wondering if front-line employees at a large organization would even notice (or care about) management’s commitment to safety, but the numbers show this to greatly impact a variety of outcomes for employees and the company. Research has consistently demonstrated that management’s commitment to safety is strongly associated with incident rates, such that employers who display a high commitment to improving employee safety and maintaining quality safety programs experience far fewer workplace incidents, injuries, and deaths than those who display low safety commitment. In addition, studies have found that from the organization’s perspective, it makes good business sense to emphasize safety commitment. For example, a study conducted by Michael Judd and colleagues (reference below) reported that management safety commitment was related to several non-safety related outcomes such as job performance, job satisfaction, organizational commitment, and turnover. Clearly, management’s safety commitment can impact the organization’s bottom line. Top management is involved in all aspects of safety and health management. Worksite policy provides clear understanding of management’s commitment to and expectation of having a safe and healthful work environment. Worksite policy ensures that managers, supervisors, and employees understand the priority of safety and health. There are clear safety and health goals and objectives (along with measurements) for every manager, supervisor, and employee. 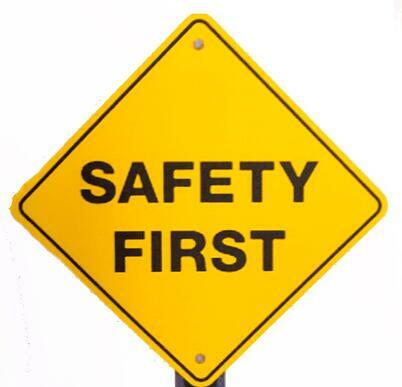 Employees are allowed to give input into decisions that affect their safety and health. The organization believes that employees have insight and knowledge regarding how to make their jobs safe. Managers, supervisors, and employees are all assigned roles and responsibilities for implementing the safety and health system, and are given authority to carry out their roles. Managers, supervisors, and employees are held accountable for carrying out their roles and responsibilities in the safety and health system. The organization conducts annual reviews to evaluate its progress in implementing the safety and health system, to address areas of concern, and to set new goals and objectives. If you are lacking in any of these areas, we suggest that you re-evaluate your safety program and take the necessary steps to show your employees that management within your organization does prioritize safety. Because management safety commitment is the first step in establishing an effective safety program, other efforts to reduce incident rates are less likely to help you reach your safety goals for the organization until this is achieved. Workers deserve to know that their employers value their personal safety, so focusing on managerial commitment first will help the remaining components of your safety programs. Judd, M. H., Evans, D. D., Jansen, K. J., & Haight, J. M. (2005). Management commitment to safety as organizational support: Relationships with non-safety outcomes in wood manufacturing employees. Journal of Safety Research, 36, 171-179.